All applications come with a responsibility of improving the experience for merchant and for their customers. Let’s make sure users can actually pay for your app simply and easily and reward your hard work. Paying for an application needs to be a simple and automated process: pay for everything in one place, know exactly what you pay in total. This allows merchants to keep up with all their spendings and subscriptions easily. 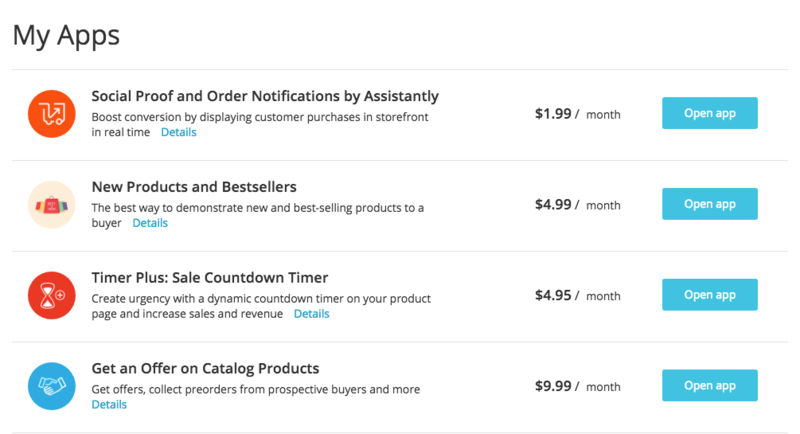 When you use your own billing model, the user pays in different places: in Ecwid Control Panel for the Ecwid plan subscription and somewhere else for your application. If there are more than one app installed, it can quickly become confusing. Luckily, Ecwid billing allows merchants to pay for their Ecwid-related services in a single place saving them time and effort. We recommend using Ecwid billing for your app. If it is not possible, make sure that your application works inside of the Ecwid Control Panel, so the user can access its interface and see their payments easily and quickly. When working with a large audience, there is always a chance there will be some users who don’t like the application or how it works after they use it. In that case, they will uninstall the app and will want to stop getting charged for its services. Make sure to handle that situation based on the type of services you provide. If you use the Ecwid billing model, then it’s all set: user uninstalls an app and Ecwid will immediately stop their subscription for the application — simple and easy. However, it’s gets tricky when you have your own billing model: your app could provide the services not only for connected Ecwid store, but for other services, like ShipStation. For this situation, we advise to stop charges for any Ecwid-related services for that merchant. Your service can get notified about app uninstallations using Webhooks feature of Ecwid API.